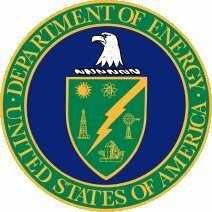 The U.S. Department of Energy (DOE) is the Cabinet-level department of the United States government charged with overseeing energy policy and the handling of nuclear materials in the United States. DOE helps to take on the nation's energy needs through R&D and other programs. To learn more, visit the U.S. Dept. of Energy (DOE) website. For a list of DOE program offices, go here.